Will Rea keep his winning streak? 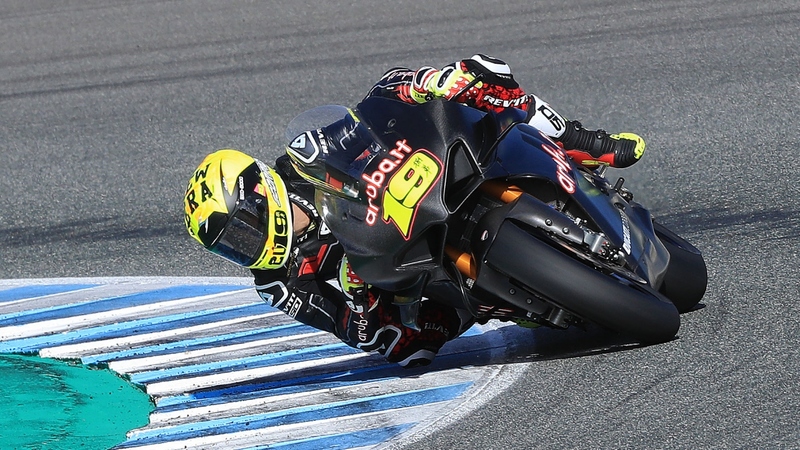 Is it possible that Bautista, on the new Ducati V4, will be a challenge to for the championship? We will see this year. New this year: Staruday Race 1. Sunday Sprint (Race 2). Sunday Race 3. Wondering how this new sprint race thing will work out. I'm all for more racing, but more racing will present more opportunity for crashing/technical problems and might present an interesting dynamic for race 3 and the season as a whole. Looking forward to seeing how the Duc V4 will perform. Moto journalists were heaping praise on it all summer, but rarely has the new production hotness been all that impressive once the grid forms up at the world racing level. My money is on Ducati this year. They are long due for a WSBK championship. I still think Rea will be the best rider in the paddock, but I'm banking on the new Ducati being that much better of a bike that Davies or Bautista will be able to beat Rea. Kiyonari?? Seriously? This guy's still racing? lol...last time I saw him was in BSB a few years ago, but been out of the game since about 2014-2015. How old is he? No more Laguna Seca round . Thankfully, MotoAmerica is still on the schedule. If I remember correctly he almost took the title but had a huge high side in the rain. It's been a while. So Davies is saying they worked on ergonomics mostly and he hasn't pushed it all that hard, yet his best time was within 0.1 of his best times in both races this year where he got 2nd and 1st respectively. This looks promising! Once he's more comfortable on it and is actually racing it, he should be even faster. He just needs to work on his consistency and finish the races. Then Rea will actually have someone to challenge him. That's pretty impressive. First time riding the bike and already only 0.3 seconds behind Rea, and in 2nd overall. What's funny is that his best lap in the race this year at Jerez in MotoGP was 1:39.839 lol...only a tenth slower on the Panigale on his first day riding that bike lol His qualifying time in that GP race was 1:38.838 so just a second difference. I think Bautista is gonna be a contender next year as long as he doesn't throw it down the track much. Rea has shown that not only is he really fast, he's also the most consistent guy on the grid throughout the whole season. He rarely crashes and rarely makes mistakes. Bautista can't afford to have more than like 2 DNF's in the whole year even if he's fast enough to win races and get podiums.